The bike that will take us to the finish in La Paz Mexico is the KTM Racing Four Stroke (RFS) 450 modified to take on the thirteen hundred miles of rugged Baja terrain. 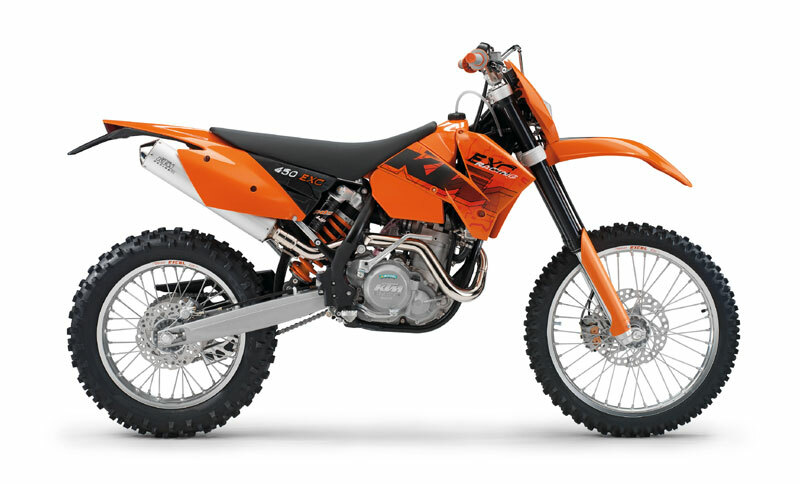 Our KTM will be outfitted with heavy duty components from front wheel to rear wheel. The bike will start the race with Michelin tires with Bib Mouse tube inserts. We will keep the motor stock because of its reputation for being stone reliable. This KTM model has carried more racers over miles of rough terrain that any other model in the world. We will loctite and safety-wire every nut and bolt on the bike to ensure longevity for the long haul. Since the race is run at both day and night, we will run a high output stator to run the Baja lights throughout the night. We will have pit support every fifty miles available, but plan to make rider changes at the one hundred mile points allowing us to replace or adjust components as needed. We will make several wheel and tire changes during the race and one oil change. This will help us keep our bike fresh for the entire race down the Baja Peninsula. Prior to the start every bearing, cable, chain, sprocket, brake and air filter will be replaced by heavy duty ones and we will spare no expense to ensure we are not one of the fifty three percent that fail to finish one of the worlds longest endurance events. Vehicle failure is not an option for the Dirt Bike Bucket List. Come visit us at the finish line.